For the past two years, we have had an exciting ongoing relationship with Health Research and Educational Trust, a division of the American Hospital Association. 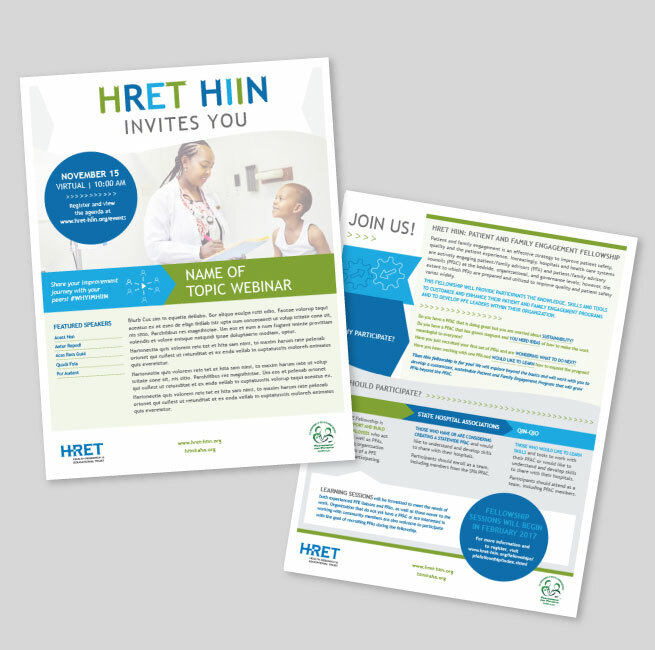 HRET selected Hughes design|communications to do all design and visual development for their Hospital Improvement Innovation program (HIIN). 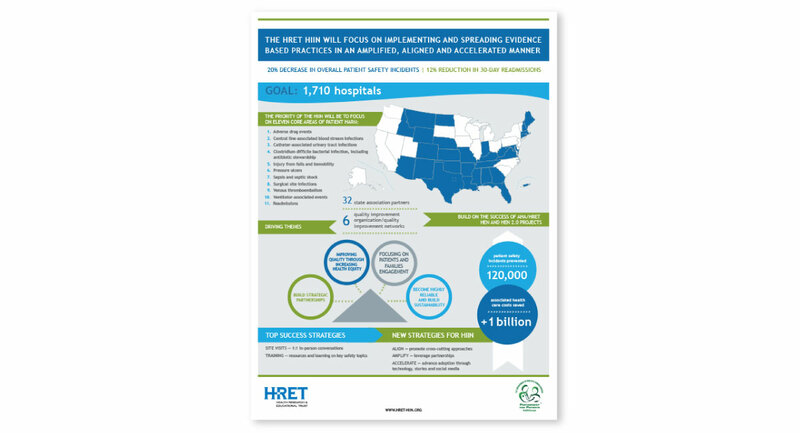 HIIN is a two-year project contract awarded by The Centers for Medicare & Medicaid Services that aims to continue efforts to reduce hospital inpatient harm by 20 percent and readmissions by 12 percent by 2019. 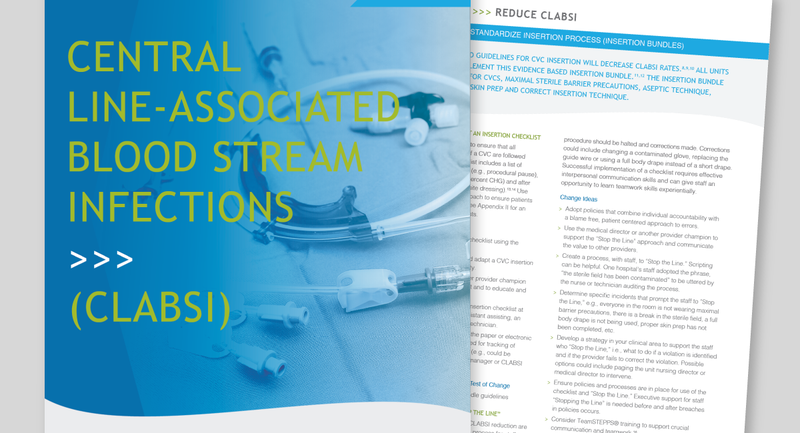 Our goal with the visual language of the HIIN program was to create a personable, engaging, yet clean and structured feel that connects with doctors and nurses and facilitates their understanding, learning, and use of the materials as they participate in the project. 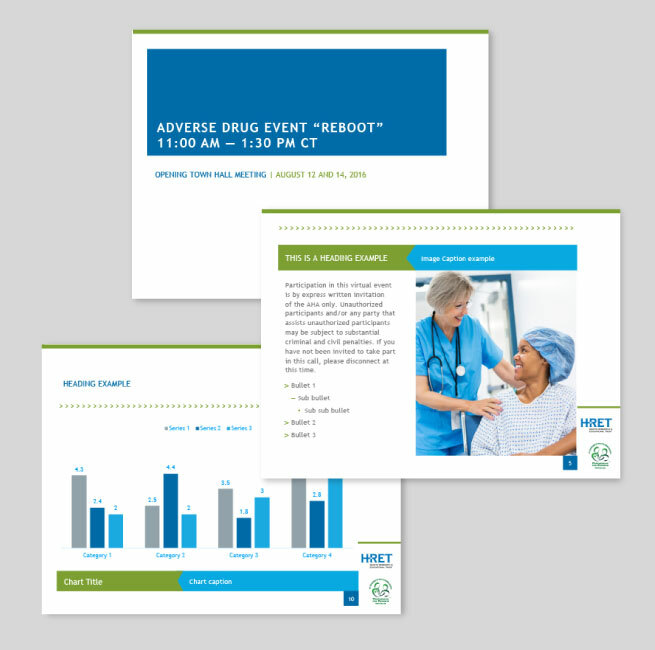 As creators of the visual branding for HIIN, we are currently developing a series of change packages, toolkits, templates, and infographics for hospitals participating in the program. This project is currently in progess.